This feeling of bereavement can also affect the child that an abducting/alienating parent claims to love and can have serious emotional scars that can remain for a long period of time - If not for a lifetime. People find it very difficult to understand the effects on a target parent. Many feel that eventually, time should allow you to "get over it" and just carry on with life but it is not that simple. In conclusion to this short paper, it appears that when a child is retained, alienated and/or abducted the grieving processes begins but can NEVER end until there is resolution. Unfortunately, in many cases, this forced "living bereavement" goes without deterrent or accountability in the family courts or by authorities which continues to subject families to this abuse. 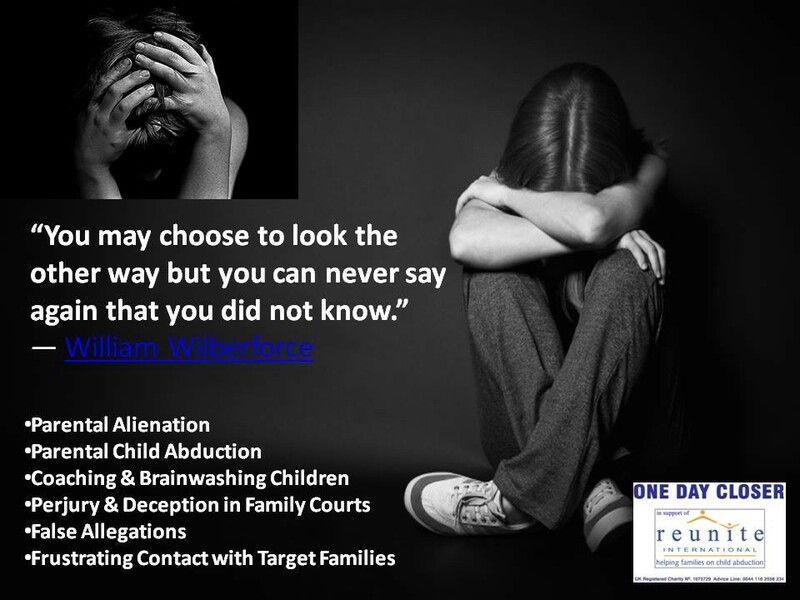 Articles relating to International Parental Child Abduction and Alienation.